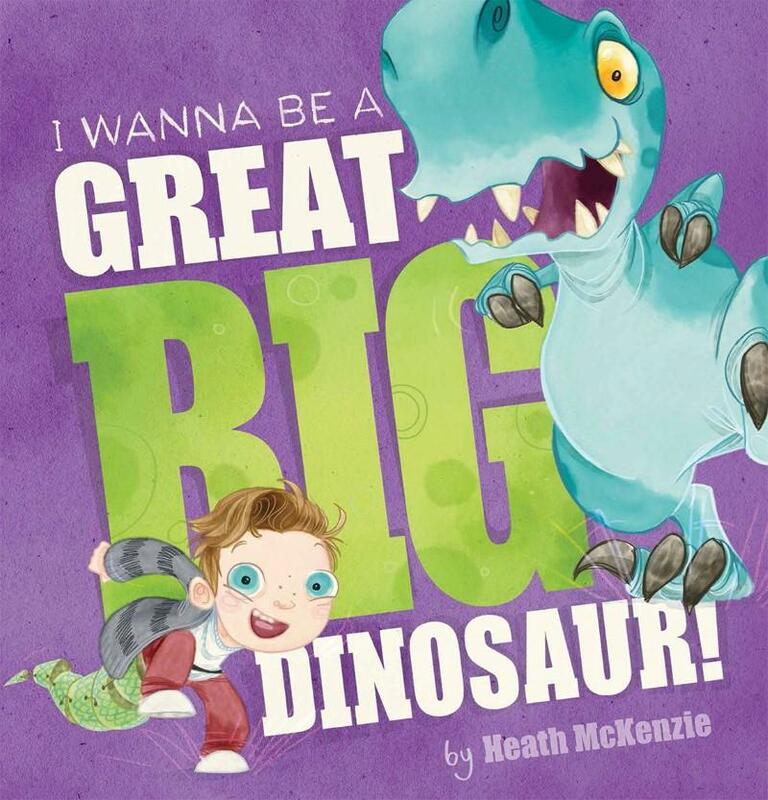 Kids' Book Review: Review: I Wanna be a Great Big Dinosaur! Review: I Wanna be a Great Big Dinosaur! The wonderful thing about Heath McKenzie's books is their effulgence. Everything is just so - so - lush. From word to image and text to the tiniest detail - nothing disappoints. 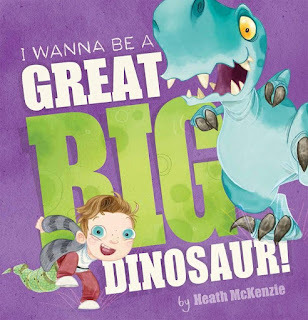 In his latest authored/illustrated work, we meet a wee lad who really, really, reeeeally wants to be a GREAT BIG dinosaur. But when a REAL LIFE dinosaur peeks in from the side of the page asking if he had heard this young lad, correctly--did he want to be a GREAT BIG dinosaur? ?--things begin to shift (in a very entertaining way). First there's some roaring and stomping which is a whole lot of fun, but when it comes to eating naught but meat, the young lad isn't so sure. He introduces his new friend to a range of human food. Tacos? Ice cream cones? And how on earth does a dinosaur use a set of chopsticks? The lad also likes to read and introduces his new friend to a book. But can dinosaurs read? Or play soccer? Or video games? Will Real Life dino take to the ways of being a boy? This is a brilliantly funny take on the usual dino book, with priceless expressions on both the boy and the dinosaur that with have both kids and adults in stitches. It's so wonderful to elicit pure emotion from image, and McKenzie certainly does that. The use of varied typography works beautifully to complement both text and image, and the endpapers are absolutely brilliant. Make sure you check out both the front and the back. Title: I Wanna be a Great Big Dinosaur!